Home / Blog / Who Is the Physician at Your Local Chiropractic Stem Cell Clinic? 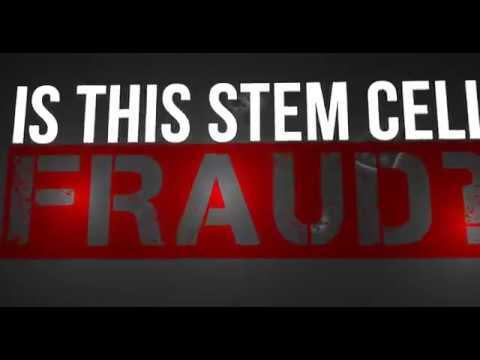 Who Is the Physician at Your Local Chiropractic Stem Cell Clinic? I often say you just can’t make this stuff up. That’s my sense this morning after looking into a local chiro clinic that offers seminars. I would like to use this example to teach you about the internal workings of many of these clinics nationally, as this post applies across the nation. They all seem to have a “medical director” problem. Let me explain. She kept saying to me that she felt hounded. It was also clear that the calls she was getting were from some distant call center and that whoever was calling was reading a script. Once she got to the seminar, there were 10 attendees with three couples, mostly older. The claims at the seminar were the standard chiro fare, with a heavy emphasis on “your stem cells are too old,” hence we use amniotic or umbilical cord blood containing young stem cells. When cost was discussed, it was avoided, and all they would say was that they would create options to fit your budget. In addition, specific medical questions about candidacy were avoided. Our marketing director sent some materials from the seminar, so I decided to dig deeper, as, in my experience, things are never what they seem on the surface when you’re dealing with a chiro clinic offering stem cells. I was not disappointed. The clinic’s name was “Peak Vitality-Regenerative and Functional Health.” As someone who often researches chiro stem cell clinics, this was my first clue that something was off. Why? Many chiro clinics that add a nurse or a doctor with the wrong subspecialty often focus on using the term “functional health” as a moniker. I began by Googling the clinic in South Denver. I soon found a website that listed one location in Texas called Premier Medical Group and one in Colorado. I thought that was a bit odd. I also found a physician on the website, a “Dr. Riaz UI Haque MD.” First, the title of the physician was miswritten, as for an MD, there is no “Dr” before the name. More concerning was that when I ran a search on the Colorado Medical Board website, he didn’t have a Colorado license. I then called the Colorado clinic asking if appointments were available with this doctor. I learned that he wasn’t seeing patients at the Colorado clinic but was only in Texas. I was told that a Dr. Darby was at the Colorado clinic. When I asked to read about her credentials, I was given the website of a natural faith healer, obviously not the right one. When I called back again, I was told that no information was available. So who is Dr. Darby? I quickly found online that she is an internist, meaning that she specializes in internal medicine. 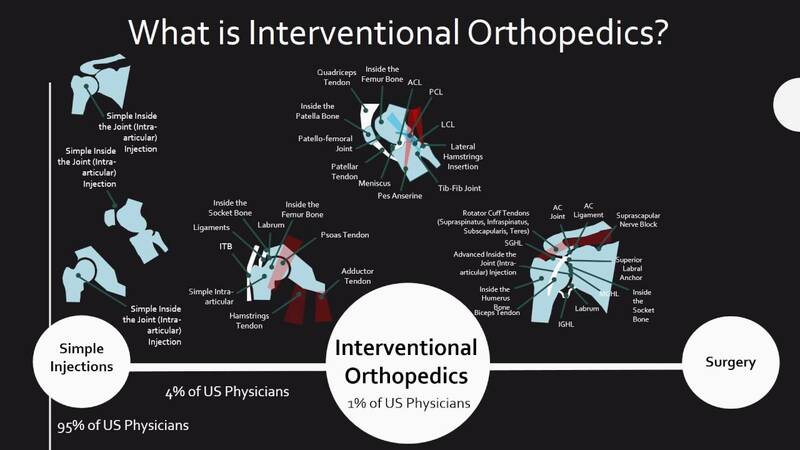 What does internal medicine have to do with orthopedic “stem cell” treatments? Not much. I then began a quest online, which was initially confusing until everything was explained. I stopped looking after this as it was clear that while I was told that Dr. Darby was a full-time physician at the chiro “stem cell” clinic, I had my doubts that this information could be true given what I found. Why Is an Internist Working at a Chiro Office That Offers Orthopedic Stem Cell Treatments? Internal medicine is a discipline that usually involves the medication management of many common chronic disease conditions. Things like heart disease, high cholesterol, diabetes, high blood pressure, and so on. A good internist is worth his or her weight in gold. However, one of the areas where the specialty doesn’t provide training or experience in is specific surgical or injection-based procedures. I then dug deeper and pulled the medical license history on this provider. I immediately found that Dr. Darby has a restricted license. What happened? In 2010, there was an incident while she was working in a hair-transplant clinic where she had performed this procedure inappropriately and the patient’s scalp became infected. While infections happen, the medical board determined that the management of said infection was below the standard of care. After the infection had set in, Dr. Darby had a technician remove the sutures and didn’t see the patient. The wound, because it was infected, opened and Dr. Darby still didn’t see the patient, and the technician tried to sew it back up again, still not recognizing that there was an infection. All of this brings up a number of issues. First, what is an internal medicine doctor trained in how to manage medications doing performing a hair transplant? Apparently, the medical board thought the same thing as she has a permanent restriction on her license disallowing her from performing hair transplants. Along the same lines, what is an internal medicine doctor doing performing orthopedic stem cell injections? I’ve seen these issues before with physicians hired by chiro-run stem cell clinics. Take, for example, the medical director for IMAC clinics in Kentucky, who is a neurosurgeon operating on a restricted license due to drug use. Why is this more common in these chiro practices? I suspect because recruiting a top-notch doctor who has a skill set that matches the task at hand is difficult for chiro-owned clinics. Having said that, there is a right way for a chiropractor to be involved in advanced medical care; it’s just more expensive. I have detailed this in a prior blog. Basically, a chiropractor can own a clinic and provide ethical care if he or she spends the time and resources to hire a competent physician who is subspecialty trained in that area of medicine and that doctor is in control of the clinic operations. What Does All of This Mean for Patients? So what happens when you have a doctor who isn’t really trained in interventional orthopedics doing these procedures? You get a procedure that we would consider substandard. Would Dr. Darby even qualify to be trained by either the Interventional Orthopedics Foundation or to be on the Regenexx network? Nope, she wouldn’t be permitted in either organization based on a lack of the proper base training to succeed. So while I focused here on Peak Vitality and Dr. Darby as a concrete example of the larger national issue, it’s critical to note that this is a problem that extends well beyond this clinic. It plagues many chiro “stem cell” clinics around the country, where often there is no physician but only a nurse or physician assistant. So if you plan to be treated at a chiropractic stem cell clinic, please do your homework on who is doing the procedure. If you stick with Regenexx clinics, your homework is done for you as we won’t allow untrained or poorly trained physicians on our network. The upshot? As I said, you can’t make this stuff up! Meaning, I am constantly surprised at what I find when I dig deeper into these clinics. They all look great on the surface, but doing any kind of background research frequently exposes that what meets the eye is often only part of the story.